In our global community, cross-border relations are increasingly important considerations. 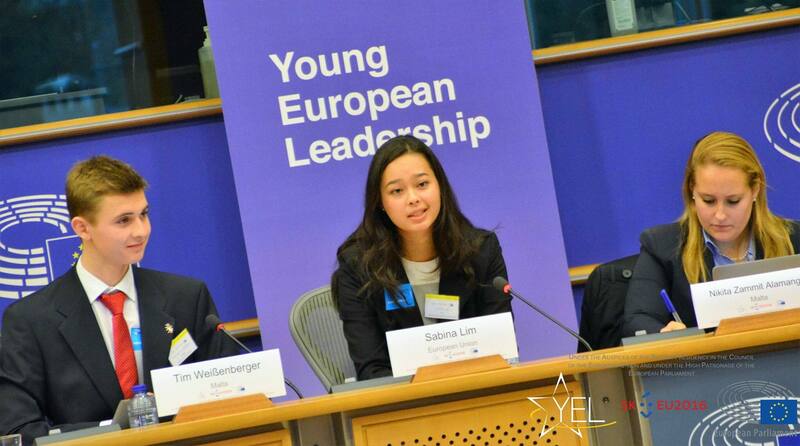 Sabina Lim leads a team of Young European Leaders in policy making proposals within the region. Born in Australia to a Chinese father and a German mother, my cultural heritage is diverse and my sense of national identity confusing. I don’t have a particularly strong affinity to my Chinese background, perhaps besides an appreciation for their art and food. Growing up in Australia, this is my home, but I don’t always feel I fit in with the typical, sports-mad, ‘Aussie’ culture. I speak German and identify strongly with the country and people, but being a ‘proud German’ is a historically sensitive issue and difficult for many of us. Up until now, I have selectively chosen aspects I identify with from all three cultures and ignored others. Today, however, I confidently say that I am, among other things, European. Over the last several months, I have been studying in London and Germany, visiting friends in Sweden, and traversing the continent from Denmark to Croatia. In this time, I have experienced Europe’s benefits – the fundamental freedom of movement and multiculturalism. Visa-free travel and classrooms filled with peers from all over Europe, thanks to Erasmus programs, became advantages I took for granted. I have also seen firsthand Europe’s challenges. So, as a German, as a European, and as a believer in the common European values such as liberty, democracy, equality and the respect for human rights and dignity, how we work to address European challenges is very important to me. As Chair of the External Affairs and Development Aid Council, I worked with 20 other engaged individuals at the Young European Council to address problems that go straight to heart of the European Union’s role as an international actor. Negotiations were wide-ranging, navigating across varied topics and solutions, presented by delegates from different backgrounds and knowledge levels – in itself, a challenge to manage. Negotiations were an iterative process of analysing problems, considering solutions and then challenging them. As in all policy and decision-making, we too often grappled with balancing the effectiveness and importance of our proposals against the political and financial feasibility of their implementation. 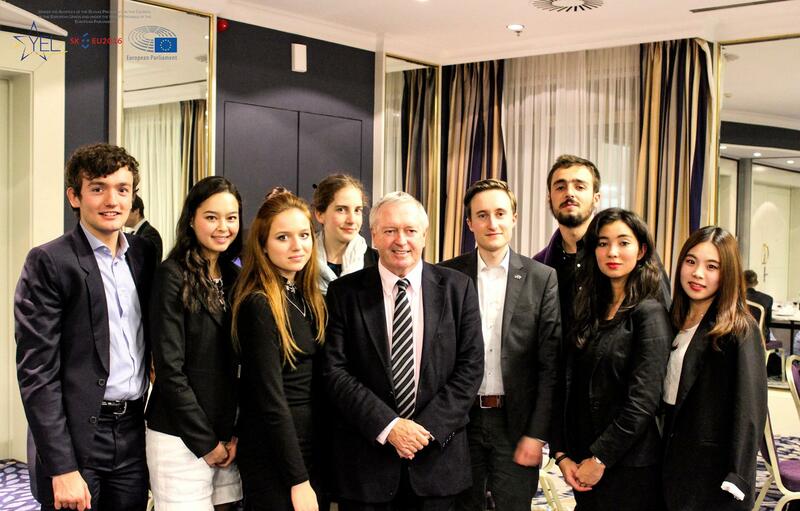 Sabina Lim (second from left) and other delegates from the Young European Council with Mr. Fraser Cameron, current Director of the EU-Asia Centre. Mr. Cameron was also a former Senior Advisor at the European Policy Centre and previously worked for the European Commission working on external relations. The need to stabilise the EU’s Southern Neighbourhood is a vital consideration. The countries in this region play a crucial role in ensuring the EU’s future security and stability. In recent times, they have faced a host of issues: conflict, rising extremism and terrorism, human rights violations and economic upheaval have left their mark across the region. Coordinated, long term policies to improve education outcomes and increase private investment in the region are critical to providing more stable employment opportunities, increasing human capital and improving mutual cultural understanding between the EU and the region. Refugee management is equally important. The instability in the EU’s Southern Neighbourhood has resulted in significant refugee and migrant flows to Europe, with the UNHCR estimating more than 1.3 million refugees have arrived since 2015. The challenges facing the EU and rest of the world are complex. We must make difficult policy choices. There will be positive and negative outcomes for different groups of people, and we must acknowledge that. But we must act. And for many issues, the political will, and the political leadership to make these difficult choices is not there. As students and young individuals, we are often told the future is in our hands, or that we are ‘future leaders’. At this conference, one of my peers made a comment that has stayed with me: "We are not just the future. We are the present." We are living through a time where people are becoming more inward-looking, and sceptical of globalisation and integration. I still believe the future of our world is collaboration and cooperation. In pursuing this, we must be even more transparent about our decisions, be committed to explaining our vision for a better world, and listen to, not dismiss, those who disagree with us. The 2016 Young European Council with speakers from the Opening Ceremony, President of the European Committee of the Regions Markku Markkula, Mr. Geran Kaai, the Head of Security and Justice Department of the Permanent Representation of the Netherlands to the EU, Mr. Massimiliano Paolucci, Head of Brussels office of the World Bank Group and Ms. Renate Nikolay, the Head of Cabinet for Justice, Consumers and Gender Equality at the European Commission. Sabina Lim is a Copland Scholar and current Bachelor of Commerce student. She recently attended the 2016 Young European Council, an international conference focused on uniting young local leaders from each European Union Member State who are determined to make their voices heard in contemporary policy and decision making. The aim is to provide actionable and innovative input to European policy making, and the conference results are discussed with senior policy makers from various sectors. As Chair of the External Affairs and Development Aid Council, Sabina led and shaped negotiations on topics across the Migrant and Refugee Crisis, European Neighbourhood Policy and Development Aid. The full set of policy proposals put forward by the Young European Council can be found in the Final Communiqué here.